East Midlands Councils (EMC) provides a comprehensive Councillor Development programme for councils in the East Midlands that range from policy events covering issues such as Welfare Reform, to personal development planning for Councillors. 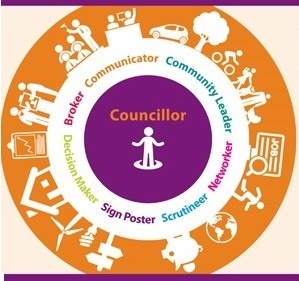 This provides an opportunity for councillors to achieve recognition of the development of skills, knowledge and experience they have gained as councillors by being assessed against a suite of progressive ILM endorsed awards. Assessment can include (depending upon the level) submitting a learning log, case study, report, doing a presentation, chairing a meeting and undertaking a professional discussion interview. The awards follow the natural progression of a councillors development and assessment can take place on site at the authority without the need for training or travel costs. EMC offers a workshop for political leadership teams, committees/scrutiny groups, partnership groups or individuals, which explores how communication, leadership and management of change skills can be enhanced through knowledge of your own preferences and those of others, using the Myers Briggs Type Indicator (MBTI). The workshop will be designed and tailored specifically to your needs and outcomes and can take place on site at yoir authority or, if you prefer, at our offices in Melton Mowbray. The attached flyer provides more information on what you might expect from the workshop. Knowing your own preferences (or MBTI type) and knowing how to communicate and act with other preferences is key to developing effective impact and influence. Scoping and designing the approach and relevant documentation. Facilitating the PDP's - either on an individual or collective basis. Training others to facilitate PDP's. Supporting mid term review processes. Analysis and reporting - evaluating the process. EMC offer a range of workshops for councillors which can be delivered in house or at our offices in Melton Mowbray. The programme can be tailored to the needs of your authority with the flexibility to run short bite size sessions through to full day workshops. The list above is not exhaustive but just a sample of some of the sessions we can offer. EMC have supported partnerships of local authorities with the design, coordination and successful delivery of member development programmes. The partnership approach to member development has enabled Councillors from across a range of local authorities to learn together, enhancing the experience and saving money. Tailored support for Member Development, East Midlands Councils have provided over 150 hours of member development to Councillors from Lincolnshire and Nottinghamshire across 40 different sessions. If you would like further information about support available from East Midlands Councils visit call 01664 502 620 to speak to the Local Government Service Team. EMC offers a range of practitioner networks, which seek to support the develop-ment of Councillors in specific areas. Network attendance is free and offers a valuable opportunity for Councillors to learn together and from each other. The East Midlands Lead Member network for Adult Social Care Services provides an opportunity for Councillors to discuss current issues and practice. The East Midlands Lead Member network for Children's Services provides an op-portunity for Councillors to discuss current issues and practice. The network supports Councillors and Officers responsible for councillor learning and development, by sharing knowledge, information and ideas across the region. The Health and Well-Being Chairs’ network supports the chairs to develop their role through exchange of information, practice and ideas. A dedicated network for Councillors and Officers, providing an opportunity to explore national and local developments concerning scrutiny.